The little critters in this stamp set are totally adorable! I started with the little lamb. I layered papers on the front with foam tape in between the layers to give it some dimension. The sun is from the So Much Pun Far Out Set and the Cloud is from the Lots O' Luck Rainbows and Unicorns set. 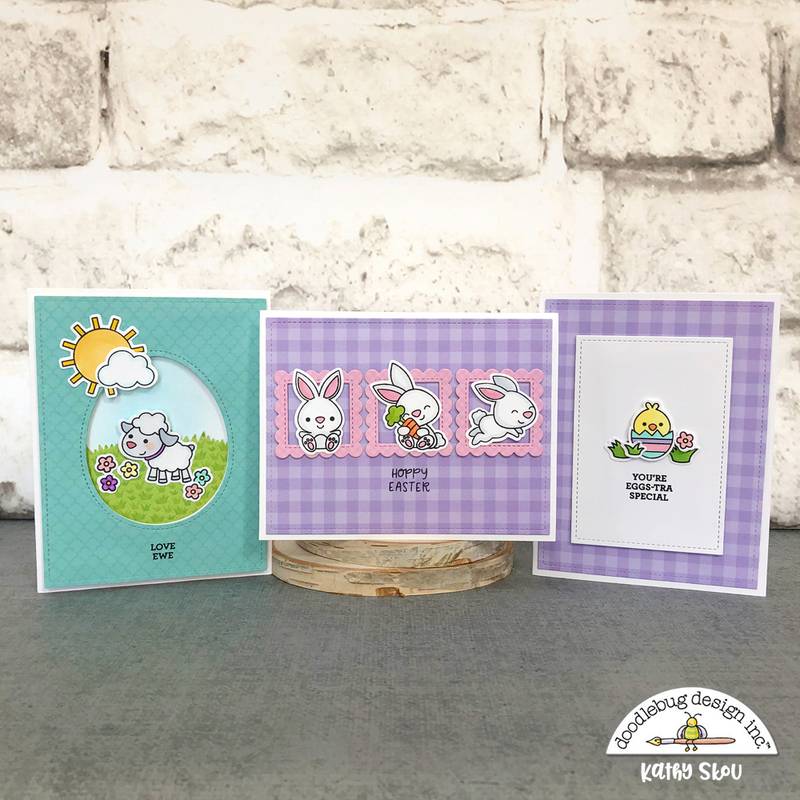 I couldn't decide which bunny I liked the most so I decided to use all three of the bunnies from the set for my next card. 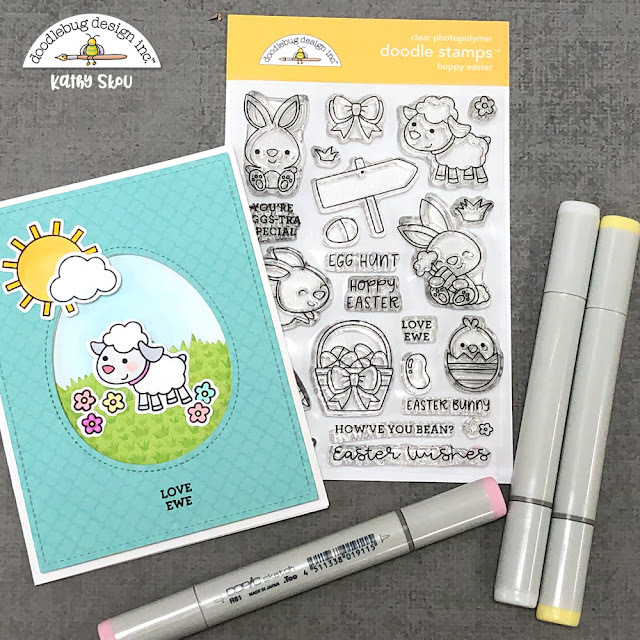 To make the bunnies seem brighter white, I outlined them with a Cool Gray Copic Marker (C00)... I like to do this with white images, it makes them appear a bit more dimensional and makes them pop a bit more. 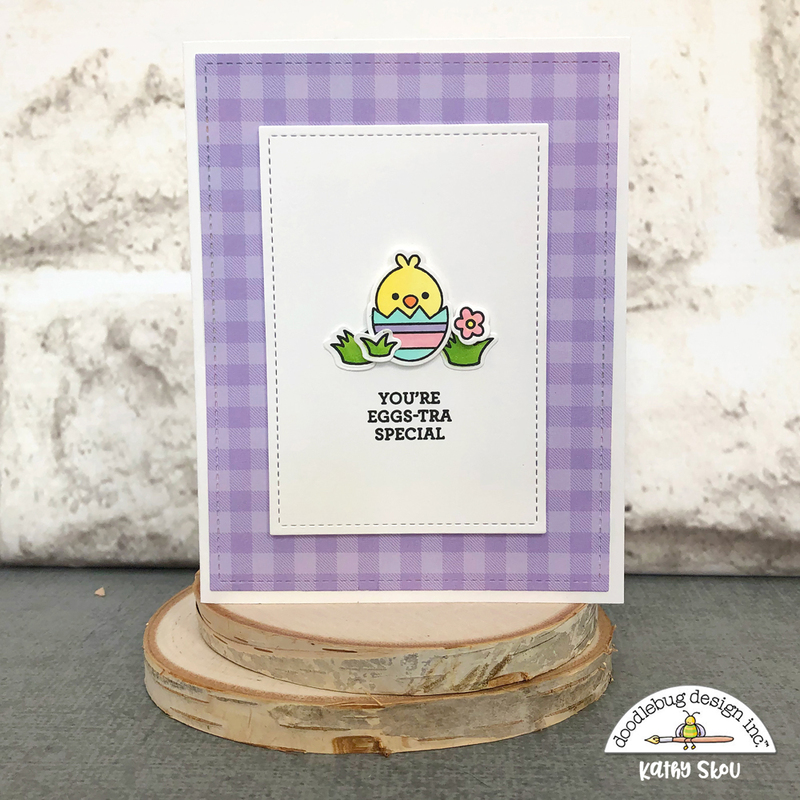 My last card features the sweet little chickie. I love that he's in a half egg... it's too cute. 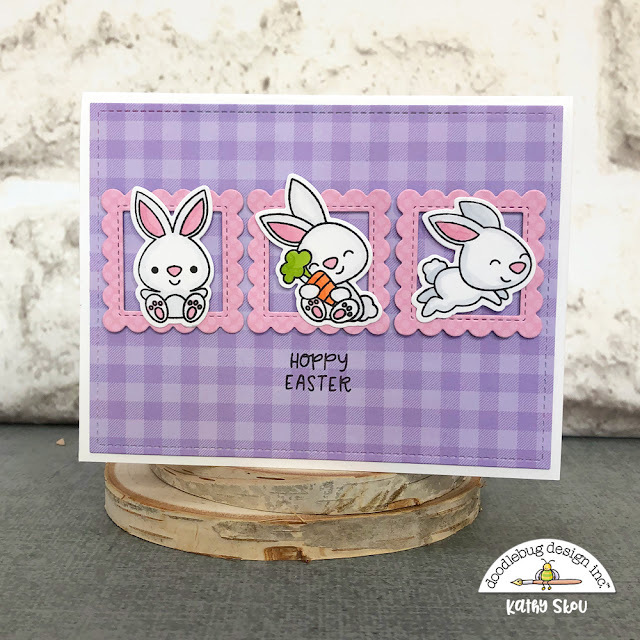 I kept this card simple, just a couple of mats using the 6x6 pad. There are a number of other cute images in this set including an Easter basket and jelly beans! I can't wait to play with them all! Have you made any cards or projects using Doodlebug's new stamps? Be sure to tag Doodlebug Design on Facebook (@Doodlebug Design) and Instagram (@doodlebugdesign). We would love to see what you've created! That's it for me today, thanks for stopping by to peek!